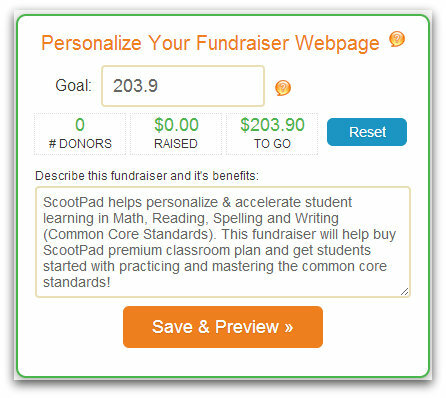 We know how tight school budgets can be so we wanted to share some fundraising options to help you get ScootPad for your school or classroom. 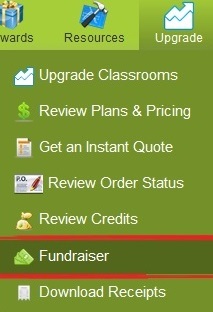 We recommend setting up a fundraiser through Donors Choose, through ScootPad, or through both! ScootPad teachers have had great success raising funds through DonorsChoose, an online charity open to thousands across the world. 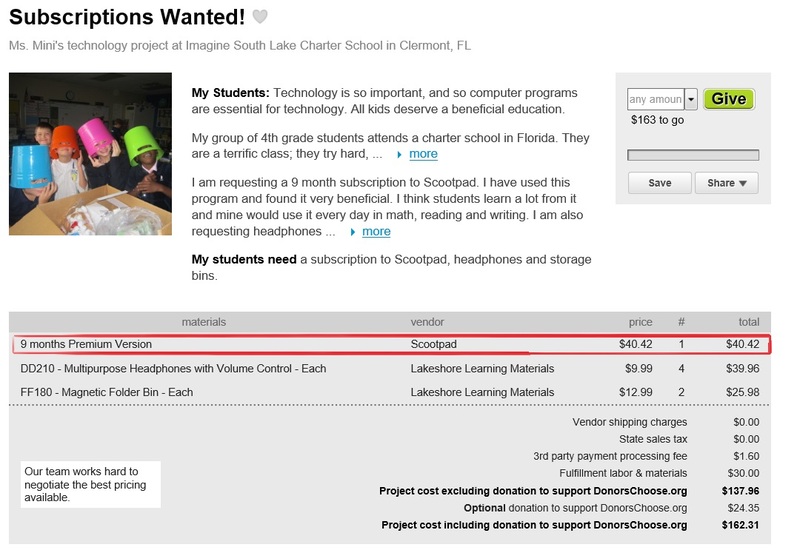 Ms. Mini (Imagine South Lake Charter School, Clermont, FL), for example, recently added a fundraiser for a ScootPad subscription for her students. You can also easily setup a free fundraiser on ScootPad! You can share with your community through your school webpage, Twitter, Facebook or Twitter. The securely donated funds are immediately added to your account!